ERMES develops and produces a range of CCTV camera housings suitable to protect the CCTV cameras in several unfavorable conditions. Firstly we developed an IP67 outdoor camera housing intended to be used in CCTV systems that require high quality and reliability. At a later stage we added the production of a stainless steel camera housing made in AISI 316L suitable to be used in marine or chemical environment when the installation require a high resistence to corrosion; at last started the production of a cooled camera housing that uses air and/or water intended to be used in the monitoring of furnaces, rolling mills and high temperature areas. This family of CCTV camera housings comes jointly with consolidate production of the electronic apparatuses for intercom systems Over IP, public address systems Over IP and emergency call systems Over IP. 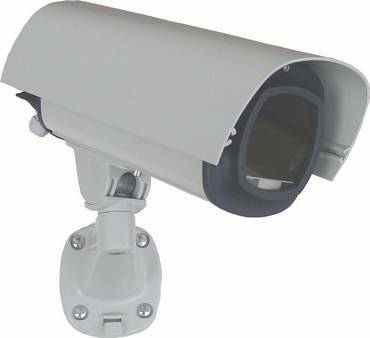 KUFU 2000 is our high quality outdoor camera housing for CCTV systems. It joints a sturdy construction and an exclusive design that represents the top of the Italian style. It meets IP67 specification and therefore it offers the best protection against dust, moisture and outdoor environments. 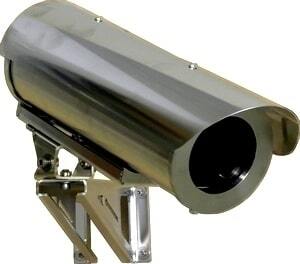 These housings are available with a lot of options that allows to satisfy the requirements that you can find in the major part of the CCTV systems. The KUFU MARINE is a stainless steel camera housing entirely made in AISI 316L that ensures higher protection against the corrosion. In addition, all parts of these housings are processed with galvanic polishing that improve the resistence to the corrosion. KUFU WA is a cooled camera housing that you can use in systems with high temperature when a standard outdoor camera housing cannot protect properly the camera. These housings are entirely made out in stainless steel AISI 304 and you can have them with two different cooling systems. The first uses only the air, the second one uses the air and the water. The range of the IP67 outdoor camera housings, the AISI 316L stainless steel camera housings and the water and air cooled camera housings covers all needs that usually people ask to the camera housings when IP67 protection is required.